Thinking about new windows? Perhaps you aren’t sure if it is the right time or if replacing your windows is actually necessary. There is no reason to live in mystery. If you think you may be interested in replacement windows in or near Sun Lakes, AZ, rest assured there are nearby professionals who can speak to whether or not you in fact need new windows. But there are other ways to make that decision, as well. Indeed, there may be signs that your windows are ready for a replacement. While that may not be everyone’s idea of a good time, new windows may certainly be a wise investment. But is it an essential investment? That depends on a few things, including how old your current windows are. If you have had your windows for 15 to 20 years, it is probably time to at least begin thinking about new windows. Old windows can become a problem for your energy bill, and they might not look so great, either. Many vinyl windows have warranties that range from 20 to 25 years. Some windows, like fiberglass, can last even longer. But regardless of age, some windows may not last the duration of their expected lifespan, particularly if they have been subject to particularly adverse weather conditions. So how might you know if you need new windows? The first thing to look for are any kinds of cracks or damage. Some frames may even become warped over the course of time. These kinds of problems can make your home less energy efficient and begin affecting those bills. Another sign that you may need new windows is the possibility of fogged glass, likely a sign that a small opening is allowing air to become trapped between panes. If you have wood windows, you may also wish to check them on the exterior of your home. Should the windowsill feel at all soft, this may be due to excess exposure to moisture. Again, this may be a sign that you should replace your windows. You should also pay attention to whether or not your windows are functioning properly. If they aren’t opening or closing properly, this means there may be something wrong. This kind of malfunction is very typical of older windows and means it may be time to move on. If your windows are getting stuck, there is a good chance other things are wrong with them, as well (or that other problems may emerge in the near future). Finally, take note of how your home feels and whether or not your energy bills appear to be increasing. If certain rooms seem more drafty, your windows may be letting in air. That is never a good thing. If you are considering replacement windows in the Sun Lakes, AZ, area, consider reaching out to Cougar Windows & Doors. We are serious about meeting your window needs and helping you find the right solution in a friendly and professional fashion. 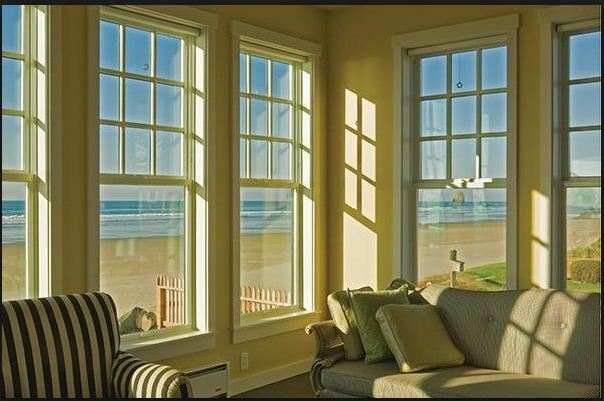 We look forward to working with you in the event new windows become a necessity. Feel free to visit us at 3820 E Main St Ste 5, Mesa, AZ 85205 or place a phone call to (480) 699-9066. Perhaps you’re looking to undertake a significant renovation project. Perhaps you’d just like to update old windows that seem to be holding the rest of your home back a bit. Either way, it might be time for new windows. If you’re looking for replacement windows in or near Fountain Hills, AZ, there are plenty of options that will fit your budget and preferences alike. And while there are any number of practical benefits associated with replacing your windows (e.g. energy efficiency), there are also aesthetic ones. New windows can radically alter the look and feel of your home. How do they work such magic? First, new windows can let light into your home in any number of different ways. Depending on the window itself, you can transform a dimly lit family room into a brighter and seemingly larger place to entertain friends and family. Replacing your windows with newer models may also encourage you to keep them open more often, thereby letting natural air into your home and creating an altogether different kind of atmosphere. Indeed, you may even have difficulty opening old windows if they’re damaged or broken. That shouldn’t happen. Windows can become integral to your way of life and make it more possible to let the outside in. Second, however, windows have an aesthetic all their own. 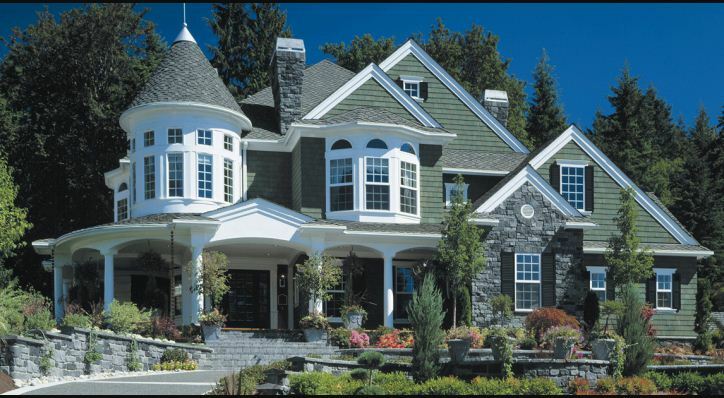 Whether your interested in a more classic look with wooden frames and single-hung or double-hung windows, you can certainly assure your home a more traditional and established vibe. Alternatively, attempting to update your home with a more modern look may encourage the use of something like horizontal sliding windows instead. For some styles, the spacious allure of bay windows can make a lot of sense, too. The point is that you have options. And those options can facilitate the kind of image you’re trying to project. Finally, windows provide your home with a view. It is worth making sure that such a view isn’t corrupted by old windows that can themselves become something of a distraction. 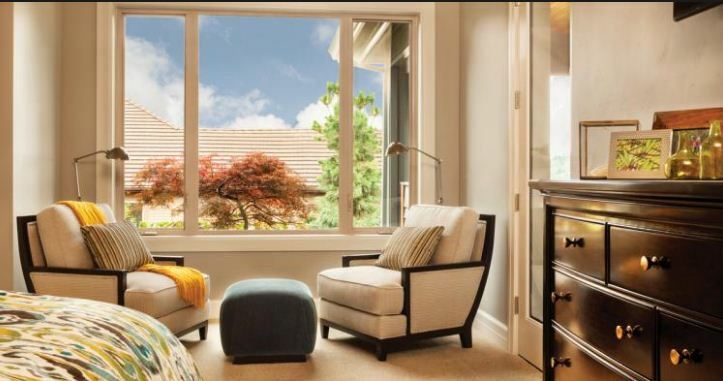 Whether you live in a neighborhood, more urban setting or by a truly one-of-a-kind view, windows can be the difference between a closed-off environment and the kind of openness many homeowners now seek. While new windows may represent a potentially significant financial investment, it is certainly worth thinking about the range of advantages they can create. What would new windows mean to your home? You should also think about the extent to which French doors or sliders can change the way you interact with the outdoors. In addition to creating a view, they also make your yard or garden more accessible, a perfect solution for those who enjoy entertaining others. If you’re interested in replacement windows in the Fountain Hills, AZ, area, consider reaching out to Cougar Windows & Doors. We have a proud history of serving our customers professionally and with great care. We look forward to working with you, too. Please feel free to visit us at 3820 E Main St Ste 5, Mesa, AZ 85205 or place a phone call to (480) 699-9066. Okay, so maybe you haven’t been persuaded to get install new windows for some period of time. Perhaps the allure of selling your home will change your mind. In the event you are looking into replacement windows in or near Phoenix, AZ, note that you have some options. Indeed, when it comes to frames and window styles alike, there are a wide range of possibilities that might put your home over the top by the time it hits the market. But just because there’s a way, it does not mean there is also a will. If you’re on the fence about whether or not to replace your windows, here are some reasons to give it some serious thought. First of all, many home buyers can tell the difference. This is particularly true if you have older wooden frames that haven’t been updated in some time. Unless they’re particularly charming, you may wish to think about trying some new frames on for size. Those new windows could be vinyl, fiberglass, wood, rolled aluminum or extruded aluminum. They all have their advantages, and it’s worth looking into what will fit your home the best. If your windows look outdated, you should certainly consider replacement whether looking into a broader renovation project or not. Even if your potential buyers can’t tell the difference aesthetically, a real estate agent can certainly mention new windows. That has some appeal. In addition to knowing that those windows may last another 30 to 50 years depending upon the materials used, potential buyers will also rest assured that their home will be more energy efficient than might have otherwise been the case. The knowledge that they’ll save on energy bills may make your home a far more attractive option. Even older homes can go quickly on the market when they’ve been properly maintained. Replacing your windows may be very key to that kind of maintenance. Some home buyers may even associate new windows with a safer home, an important factor for many. Note that new windows can radically change the look and feel of your home. There are more than a dozen prominent styles, and choosing between them can have a significant impact on the general aesthetic with which you’re working. Even if potential home buyers don’t notice your windows very directly, those windows can contribute to a more general sense of décor that grabs their attention. Pursuing an updated and fresh look can be extremely important in today’s marketplace, and windows shouldn’t be left out of the equation. Even if you aren’t planning on selling your home right away, remember that it’s important to preserve the value thereof. Whether it’s windows or another important project, don’t forget to keep your home in the best possible condition. When it does come time to sell, you will be glad that you did. If you are looking for replacement windows in Phoenix, AZ, consider reaching out to Cougar Windows & Doors. We pride ourselves on treating our customers’ needs with respect and handling them in a professional fashion. You can visit us at 3820 E Main St Ste 5, Mesa, AZ 85205 or place a phone call to (480) 699-9066. Not all windows are made equally. That’s particularly true when it comes to their frames. If you’re looking into replacement windows in or near the Gilbert, AZ, area, rest assured there are local professionals prepared to guide you and provide support as you make decisions. While this shouldn’t be a difficult process, some may certainly wish to consider their options. One of those options is a vinyl window. 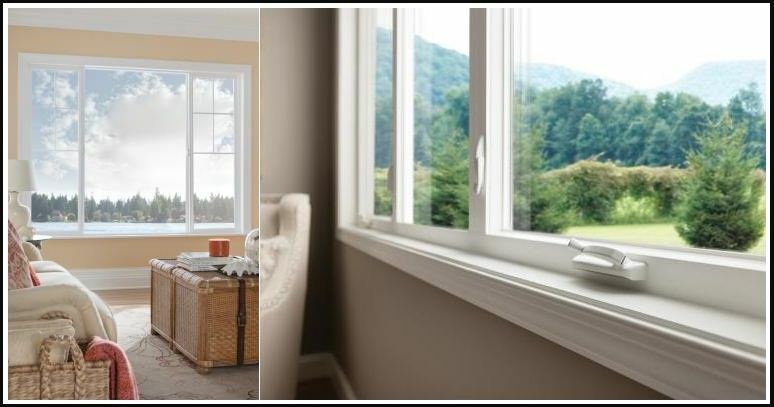 What makes vinyl windows different, and why should you consider them when replacing your windows? Vinyl windows are incredibly common, and there’s good reason for that. Given their performance, they tend to be more affordable than many alternatives. Vinyl is a kind of strong plastic that generally does a pretty good job of protecting homes from the elements. While it is susceptible to expanding and contracting based upon heat or cooling, that flexibility also makes vinyl windows very easy to install or remove. That also reduces costs when it comes to installation, which very well may be attractive to your budgetary bottom line. Vinyl windows are often energy efficient, as well. Designed with honey-comb chambers that trap air, they’re particularly good as insulating your home from hot or cold air. That can be a huge bonus when it comes time to pay those energy bills. By preventing cool or warm air from trading places with outdoor elements, your home can be cooled or heated more efficiently. That saves you money. 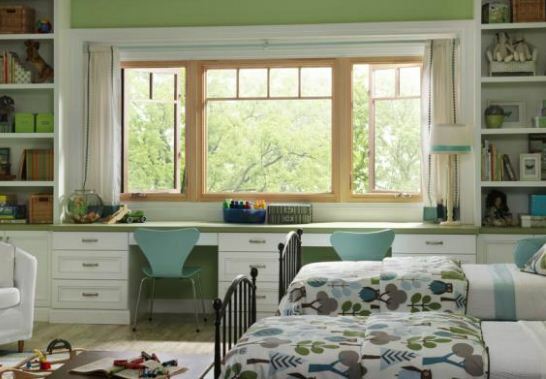 Vinyl windows can also be far less expensive than wooden windows. While wooden windows may be more traditional in appearance, vinyl windows tend to achieve a fairly similar effect at a much-reduced cost. They also tend to require less maintenance and painting than wooden windows, which can save you monetarily, as well. As a financial matter, vinyl windows may be your best friend. They’re also less expensive than their very similar fiberglass alternative. So, if it is important for you to install new windows quickly and at limited cost, vinyl windows likely rank as one of your best choices. That said, they aren’t perfect. While they may last as many as 30 years, they are quite as durable as their fiberglass cousins. Fiberglass windows can last in excess of 50 years. How much that kind of thing matters to you may depend. Not everyone cares about their windows lasting forever, and that’s okay. Thirty years is still a pretty long time. Fiberglass windows are also stronger than vinyl windows, and that may be important to you, as well—particularly in a world where your home may be subject to poor weather conditions on a somewhat frequent basis. Is there a right or wrong answer when it comes to choosing vinyl windows? Not really. Much depends on what best suits you and your family. If you’re interested in replacement windows in Gilbert, AZ, consider reaching out to Cougar Windows & Doors. We pride ourselves on addressing your windows-related needs in a prompt and professional fashion, and we look forward to working with you. You may visit us at 3820 E Main St Ste 5, Mesa, AZ 85205 or place a phone call to (480) 699-9066. Nothing wrong with the windows in your home? That’s fine. It doesn’t mean it isn’t time to have them upgraded. If you’re looking for replacement windows in or near the Scottsdale, AZ, area, know that there are local professionals prepared to support your decision and walk you through the process. They can also provide guidance when it comes to upgrading your windows in particular, explaining the various advantages associated with the available options (and there are indeed plenty of available options). So why bother upgrading your windows in the event there’s nothing particularly wrong with them? In general, the decision to upgrade windows has a lot to do with your financial bottom line. One way or another, it is an investment that should pay off sooner or later. For many, the decision simply comes down to adding value to your home. Newer windows will last longer and save future buyers from worrying there about. Real estate agents are generally apprised when a home has relatively new windows, and that can certainly help your estimate. Whether you’re planning on selling your home any time soon or not, it is never a bad idea to add value thereto. New windows can produce that value in a number of respects, ranging from their aesthetic feel to very practical concerns, as well. With respect to the look and feel new windows may provide, note that they may be essential to any remotely major renovation that changes your home’s general style. Modernizing is never a bad idea. Just don’t forget your windows in the process. They can add a great deal to the interior, both with respect to their look and the extent to which certain kinds of windows may be better at allowing in natural light and air. New windows can also enhance a home’s curb appeal, assuring that it looks better from the street and draws potential buyers in. Even if you aren’t looking to add value to your home financially, you may simply wish to update its look and feel for the sake of your own enjoyment (or to feel more comfortable and inclined to entertain for friends and family). As for the practical side of things, don’t forget that newer windows may be far better at insulating your home from the outdoor elements, particularly heat and cooling that may tax your air conditioning (and impact your energy bill in significant ways). You may not have even noticed the extent to which those energy bills have gotten a bit out of control. It’s something of a hidden cost that can easily fly under the radar. Upgrading your windows to meet modern standards may wind up saving you money in time. If you’re looking for replacement windows in Scottsdale, AZ, consider reaching out to Cougar Windows & Doors. We have a long history of satisfying our customers and handling their window needs in an especially efficient fashion. We can make any project involving your windows much easier. You can visit us at 3820 E Main St Ste 5, Mesa, AZ 85205 or place a phone call to (480) 699-9066. Replacing your home windows can be costly, time consuming and slightly disruptive. That said, it can also be very worth it—financially, aesthetically and otherwise. 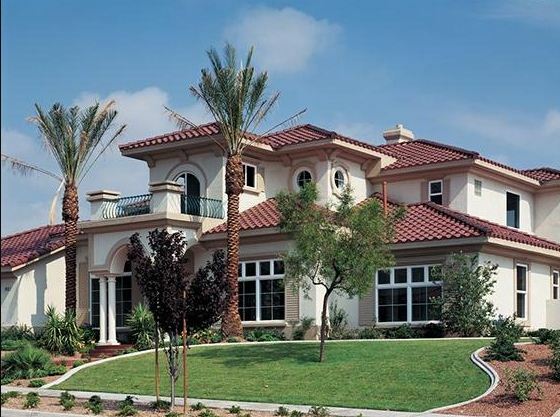 If you’re looking for replacement windows in Chandler, AZ, there are nearby professionals who can point you in the right direction and make the process far less painful. There are, after all, any number of good reasons that you and your family should look into replacing your windows. It may be time. And those windows may be trying to let you know. So what are some of the signs that something isn’t right? The first is that your windows may be broken, warped or otherwise damaged. They may even seem to be working. But that doesn’t mean they’re working properly. Before you know it, you may have a larger problem on your hands, particularly if you don’t have those windows replaced in time. If you’ve had the same windows for more than 10 or 15 years, there’s certainly a chance that something is wrong with them. Modern standards generally assure that newly installed windows last at least 20 or 30 years. That may not be the case with all older windows. Additionally, damage caused by weather or other circumstances may necessitate that windows are replaced sooner than might otherwise be the case. You may wish to look into how old your current windows are, particularly if your house is older. That’s a good starting point when determining whether it’s time for a replacement. Another reason to replace your windows is energy efficiency. Remember that your windows provided badly needed insulation from the elements, particularly when it’s hot or cold outside. This will affect the extent to which your air conditioner is working overtime. In turn, the quality of your windows and extent to which they’re up to modern standards will also impact your energy bill, sometimes drastically. So even if you aren’t too enthused about the cost of replacing your windows, it could wind up saving you some serious money over the next 10 years (or more). Finally, newer windows can make your home far more attractive, both inside and out. If you’re looking to update your look in general (e.g. buying new furniture) or renovating your house in any capacity, it may be a good time for windows to come along for the ride. The right windows can also improve your home’s curb appeal, making it look better for those looking at your house from the outside. Such a replacement project may be particularly wise if you’re looking to sell your home or, at any rate, improve its long-term value in the event you eventually wish to do so. If you require help regarding replacement windows in or near the Chandler, AZ, area, feel free to reach out to Cougar Windows & Doors. We look forward to handling your window needs in a prompt and professional fashion. You may visit us at 3820 E Main St Ste 5, Mesa, AZ 85205 or place a phone call to (480) 699-9066. Which Window Style Should You Choose? Getting new windows shouldn’t be a headache. If you’re looking for replacement windows in the Tempe, AZ, area, rest assured that there are local options who can help you make the right decision. Part of that decision will have involved selecting the right style of window, and there are plenty of styles that might catch your eye. Before jumping into that decision, you may wish to review some of your options in advance. Generally speaking, there’s no wrong answer. Much depends on your personal preferences, the style of your home and what kind of aesthetic you have pursued by way of furniture and accessories. So what kind of window style is right for you? The first step is to wrap your head around all the styles themselves. There are a few worth considering, including casement, awning, single-hung, double-hung, sliding, bay, bow, special shape, custom and fixed. Each of these styles can affect your aesthetic bottom line in important ways, letting light and air in differently and completing your home in a different fashion. Depending upon the kind of feel you’re pursuing, you may wish to take a closer look at these styles and think more about how they interact with your home environment and various items there amid. So what are each of these styles all about? Casement windows are a particularly contemporary style. They’re hinged at the side and crank out, often a perfect solution for kitchens and bathrooms. 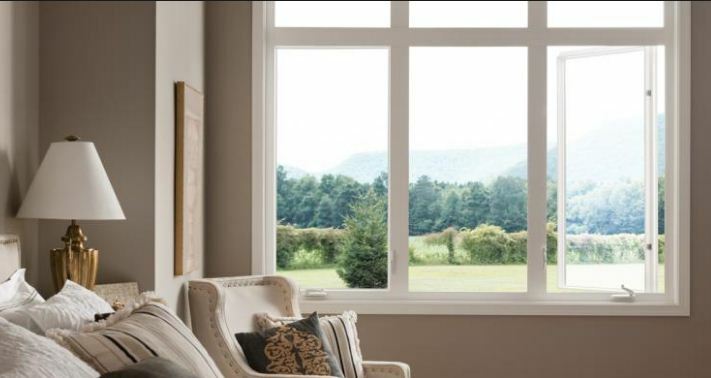 Awning windows are instead ideal for letting in light and air, naturally enhancing your home without relying exclusively upon air conditioning and artificial light. They’re hinged at the top and open outward. 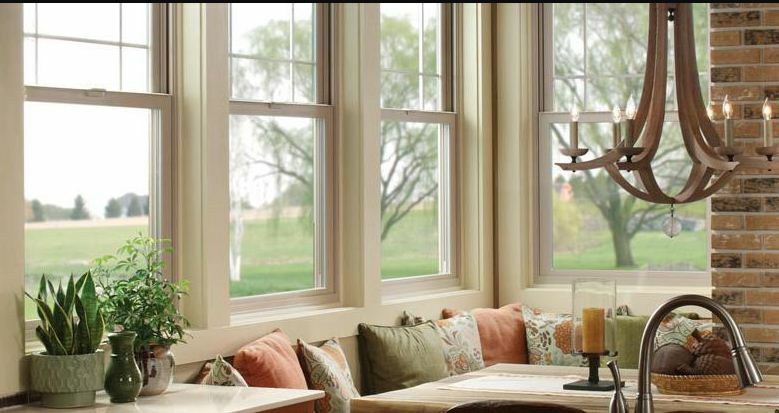 Double-hung and single-hung windows provide a more classic feel thanks to the vertical that can be raised or lowered when you wish to have your windows opened. They’re often found in bedrooms or living areas, and they are quite common. Sliding windows are a bit more modern and allow you to open the window horizontally instead. The rest of the previously mentioned styles provide some additional, albeit less common, options for your home. Like those described in more detail, they all have their advantages when it comes to light and ventilation. The best way to choose between some of these styles is to see them in action. Researching them online can be helpful, but seeing them in person may give you a better sense of how they work and handle. That may ultimately make a significant difference in a world not exclusively dictated by how they look. You also may wish to speak with a designer in order to better ascertain how they windows will fit with your home’s style. Some windows will more naturally accompany different styled homes, whether they’re ranch, colonial, Mediterranean, modern or otherwise. An expert eye may be very beneficial before making a final decision. If you’re looking into replacement windows in or near Tempe, AZ, consider reaching out to Cougar Windows & Doors. We pride ourselves on handling your window needs in a thorough and professional fashion. You may visit us at 3820 E Main St Ste 5, Mesa, AZ 85205 or place a phone call to (480) 699-9066. Whether they’re dated or less energy efficient than they should be, it may be time to do something about those windows. If you’re looking for replacement windows in the Mesa, AZ, area, there are several options for you to consider. 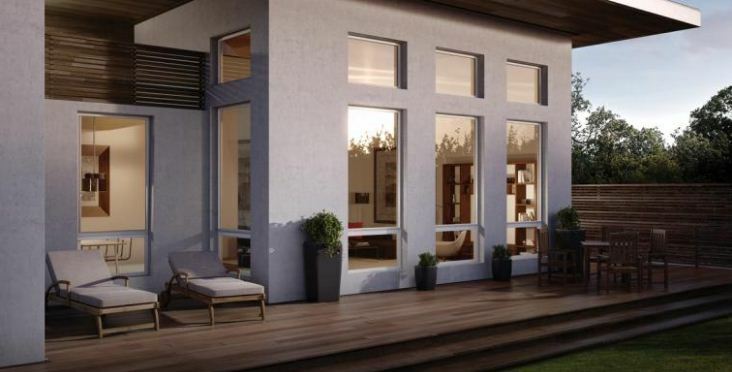 Different types of windows present a range of advantages and disadvantages. A lot may change based on the kinds of frames you use. So it is important that you make your decision carefully, potentially reaching out to local experts in a bid to get your information right. Doing some research in the meantime won’t hurt, either. What kind of windows will you be choosing from? Put most simply, there are only a handful of frame types that you will likely consider. Often that choice comes down to vinyl or fiberglass windows. The former is generally cheaper, but it isn’t perfect. Vinyl window frames are known to expand in contract due to temperatures, and this can certainly affect the extent to which they remain energy efficient. While both options generally require very little maintenance, fiberglass does tend to last longer, as well. That may or may not make a huge difference. If vinyl widows last 30 years, you may be pretty happy with that. Fiberglass may remain in good condition for more than 50 years, so durability may not be your primary concern. Both vinyl and fiberglass are a certain kind of plastic. The major difference is that fiberglass is reinforced with very small glass fibers. This means that fiberglass windows tend to be much stronger than vinyl. Because of their strength, they can also support more glass by way of thinner frames. If your highest priority is strength and durability, you certainly may wish to spend the extra money and choose fiberglass. If you’re content with a somewhat more basic product, there’s certainly nothing wrong with vinyl in the grand scheme of things. One benefit associated with vinyl windows is that they tend to be more flexible, thereby allowing for easier (and cheaper) installation. There are at least a couple of options besides vinyl and fiberglass. Those include extruded aluminum, rolled aluminum and wood (or wood clad with additional material in order to promote weather resistance). The difference between the two kinds of aluminum is fairly stark. Extruded aluminum is very solid and very sturdy. Rolled aluminum is not, itself something more akin to a soda can. All of these options are increasingly less common than vinyl and fiberglass. That said, some still prefer the look of wood or the durability of aluminum. Note that while wood may create a very classic aesthetic, it also tends to entail more expensive upkeep over time. Making these kind of decisions isn’t easy. They don’t come down to pricing alone given the range of advantages and disadvantages associated with each one. If you’re looking for more information on replacement windows in the Mesa, AZ, area, consider reaching out to Cougar Windows & Doors. We look forward to handling your needs in a professional fashion. You may visit us at 3820 E Main St Ste 5, Mesa, AZ 85205 or place a phone call to (480) 699-9066.